Decision table testing is an easy and confident approach to identify the test scenarios for complex business logic. There are several test case design techniques. In this article, we will learn how to use the Decision Table technique effectively to write test cases for an application with complex business logic. Today’s tutorial is about an important QC tool, that is either over-simplified (read overlooked) or over-emphasized – i.e Traceability Matrix (TM). Our sole aim is to cover almost all the topics from software testing industry. Very less number of testing professionals are aware of Game Testing industry and the Jobs offered by it. The Game Testing Industry is expanding rapidly and currently, there are several “game design” and “video game testing” openings available in the market. Here is a very interesting article on game testing which will give you a brief idea about the game testing industry! The video game testing industry is set to become the largest industry now. Read moreWant to Get Paid to Play Games? Become a Game Tester! In this tutorial, we will learn what is Sanity Testing and Smoke Testing in Software Testing. We will also learn the key differences between Sanity and Smoke testing with simple examples. Most of the times we get confused between the meaning of Sanity testing and Smoke testing. First of all, these two testings are way “different” and are performed during different stages of a testing cycle. 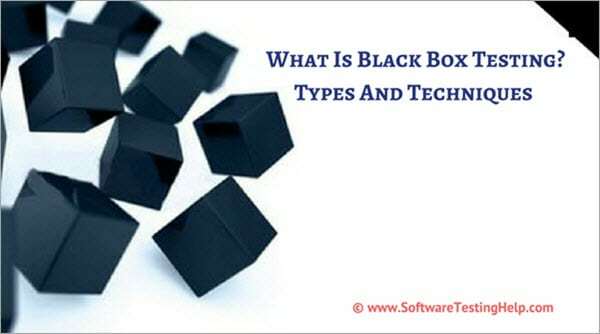 In this tutorial, using my industrial experience in software testing, let's familiarize with the types and techniques of black box testing along with its process, advantages, disadvantages and some automation tools to test it other than manual testing. We will also learn about the differences between white box testing and black box testing.